Here we have compiled a list of several clinics offering stem cell treatments. Please note that the "conditions treated" refers to the conditions that THEY claim to treat. Most, if not all, stem cell treatments (except hematopoietic stem cell transplantation) aren't FDA approved, meaning that they haven't been clincally tested for safety or efficacy. Please be aware that receiving an unapproved medical treatment is risky and may cause serious complications and possibly death. It was only a few years ago when Europe's most popular stem cell clinic (XCell-center) was forced to close after one of the treatments caused the death of a boy. In the past, we have also covered the case of a woman that had serious adverse effects following an unapproved cosmetic stem cell treatment (facelift). 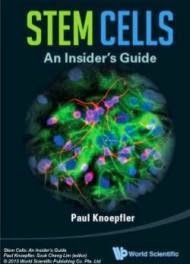 Video of a patient treated in the Stem Cell Institute. The video is taken from the clinic's official youtube channell, so it may be biased. I would be interested in participating in any GDF-11 study on CHF patients. Don't forget Stemedix. They are located in Florida and they use Muse-AT cells. If your not familiar with Muse-AT then you should be researching this new find. Please see below for more info. Adult stem cells that turn out to be truly pluripotent would represent something of a holy grail, but further testing will need to be done to show the UCLA team has discovered the real thing–and not simply another source of multipoint stem cells. My father was treated at StemGenex for COPD and we have referred at least 5 other people there and every single one has done very well. My father especially is completely off of oxygen and his treatment was over 1 year ago. It's truly been a life saver for him and hope many other people will look into them. They are definitely known as the highest rated center in the US. Thank you for this information. I am considering going there. This will help in my choice. We all need to help each other. I cannot say enough great things about StemGenex. StemGenex is doing some great things with directly targeted therapies for MS and Parkinson's. We were amazed at how amazing the Drs there were when we arrived. My father is doing very well. He had his therapy about 2 years ago and so far he's back on his motorcycle riding every day. Before he was completely disabled from his MS.